KTL Fabricates Custom-Designed Phasor for WHAG - Kintronic Laboratories, Inc.KTL Fabricates Custom-Designed Phasor for WHAG - Kintronic Laboratories, Inc. 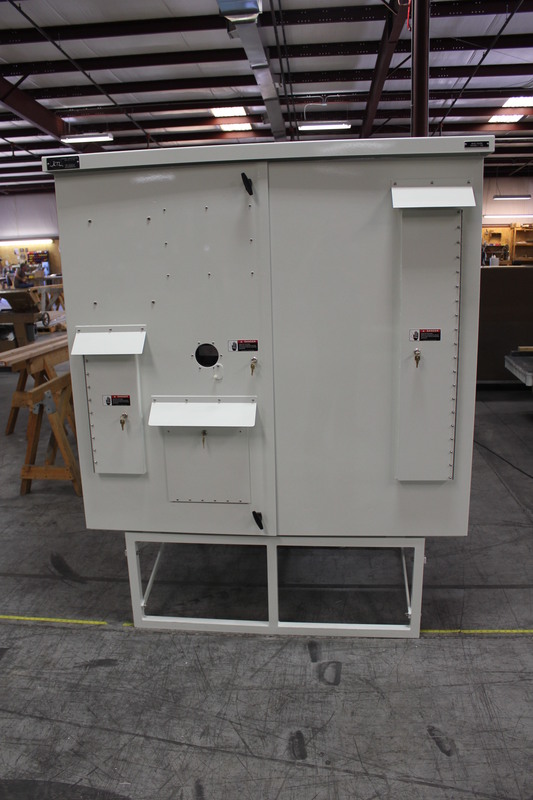 The talented machinists and engineers at Kintronic Labs cranked out another custom-designed order, this one a weatherproof phasor designed by consulting engineer Clarence Beverage for Alpha Media station WHAG-AM in Halfway, Maryland. According to Alpha’s Director of Engineering, Mike Everhart, the original WHAG phasor was destroyed in a fire that also took out the building it was located in. They decided to use a weatherproof phasor/atu combination instead of rebuilding the phasor building. As a custom manufacturer we have the capability to turn any *reasonable* design into a fully functioning system or component for your broadcast transmission site. We’ll work with you to bring the design to life! Posted in AM Products and tagged Phasor, Weatherproof.